There are lasting public relations lessons from large, newsmaking, once-in-a-lifetime events. Take this week’s solar eclipse, for example. Long after we dispose of the special viewing glasses and stop listening to “Total Eclipse of the Heart,” we can benefit from a mini-analysis of ways to leverage national events for our own brands and clients…sometimes! This post needs to start with a word of caution for all PR strategists – effective newsjacking of such a rarefied event is only going to work for those brands or companies who truly have a fit. Or maybe for those who are very clever in creating an unexpected fit. But forcing a fit of, say pancakes served at Denny’s, into the eclipse is most likely a wasted effort. On the other hand, there are several companies that sold glasses or operated hotels in the eclipse’s direct path with a perfectly legitimate reason to cash in. There are also some subtler connections worth exploring. Here are some “best practices” we’ve observed and some tactics to avoid. For PR agencies, set realistic client expectations. The eclipse was an example a super-competitive time with countless brands vying for a slice of the media pie. 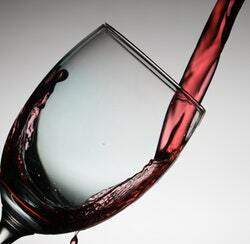 It pays to set very low expectations with clients who are counting on some press. We also caution that if you’re working with a “hired gun” to help earn coverage from the event, make sure the spokesperson doesn’t lose sight of key messages. This is where some targeted media training right before interviews is highly recommended. We once worked with a sleep expert, retained to talk about sleep and Daylight Saving Time, who inadvertently (?) neglected to mention the mattress company sponsoring the tour. Exploit experts in the field. Anyone connected to astronomy, optometry, photography or other science-related field, go for it! We like to see experts who have published guides to enjoying the eclipse safely such as this one from Sky & Telescope Magazine which was a total PR coup for this obscure pub. We also commend brands who prepped tips for watching and photographing, and experts giving smart interviews on the subject. Nothing builds credibility for a CEO or other executive like waxing smartly on a hot topic. These kind of interviews are often “gateway PR” to a profile or other more prominent piece down the road. Find a relevant tangent and work it. There are many pundits who peddled eclipse expertise, so the race for coverage has been fierce. Sometimes it’s a better bet to go off the beaten path with another angle that’s really relevant. Some smart publisher got the brilliant idea to push pet care on eclipse day and found her author on the Today Show, among other outlets! Did you know pets can be affected by the phenomenon? Neither did we. We also admire the beer and spirits purveyors who turn every holiday into a media frenzy featuring a bacchanalia of brand mentions. Press never seem to tire of this twist. The eclipse cuts a wide swath across America, so cities directly in “Path of Totality” like Bowling Green, KY or Kansas City, KS really cleaned up, PR-wise. Local hoteliers and restaurants offering tourist specials saw media coverage like never before. Airbnb benefitted locally and nationally in stories touting the huge lodging need in unlikely places. The local coverage has also featured the expected human interest stories that small towns often serve up, like this one about Albany, Oregon’s citizenry coming to the rescue of a couple with a mistaken hotel cancellation. We hope all of the cities in the path receive well-earned attention that lingers long after the sun’s return. Making the most of once-in-a-million opportunities like this requires precision planning. We have learned from experience to vet all experts before you go to pitch them for broadcast or other interviews. Times like this can bring out some questionable authorities who can overpromise and under-deliver. Also important to keep in mind, for purveyors of eclipse paraphernalia – can you handle the demand? Can your website and customer experience staff manage inquiries without crashing? These are important questions to ask and answer well before the next eclipse or other similar event. The memes! The snaps! The viral videos! Very visual and social events like a solar eclipse beg to be shared on social media. If it’s feasible, a brand can create a hashtag just for the event. 7-Eleven, with its NASA-approved eclipse eyeware covered by Food & Wine, pushing #solarselfie, for example — no doubt the first mention ever for the brand in this upscale pub. If that’s a stretch, then at the very least, PR teams should have a strategy to post images on Instagram, comment and share news about viewing parties on Facebook, all in a way that’s meaningful to a brand. 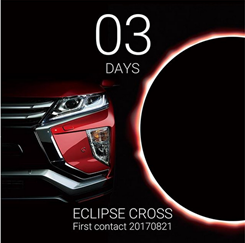 Mitsubishi, with its “Eclipse Cross” sport compact, made good use of the phenomenon. We also like Stephanie Abrams, a meteorologist at The Weather Channel, host of a live stream event of the total solar eclipse. Finally, we recommend this interesting read on how internet providers and others prepped for a total eclipse of the internet. Take that information to heart, along with the rest of our PR tips to help you prep for the next major cultural happening.